“Clean eating” has become a popular phrase these days. While this notion is sometimes over-emphasized to the point of creating a fear of certain foods, the essential message is a helpful and simple one. The premise is that less is more. By “less,” it means fewer ingredients often equate to better choices for health. In other words, the more closely we stick to nature’s resources, the more nutrition we derive from our food and the less concerned we need to be about our choices. Real dairy milk, known in many circles as nature’s perfect food, is perfectly aligned with clean eating. 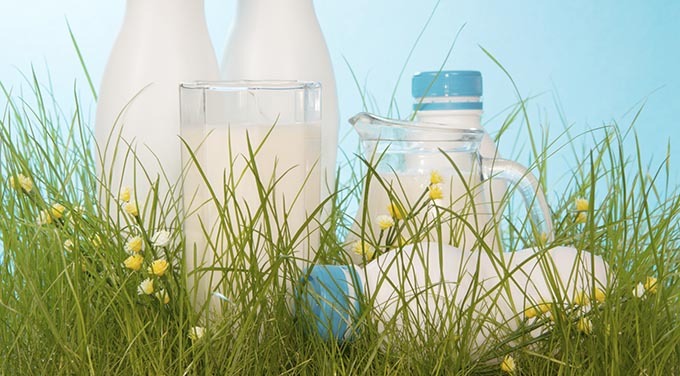 While many plant-based beverages labeled as ‘milk’ have eight to 12 ingredients and have been manufactured in a lab, plain real dairy milk contains only three ingredients (milk and fortified vitamin A and D). Additionally, in a world where many products are inundated with added sugars, white milk contains only naturally occurring sugars. Even flavored milks contain far less added sugar than other beverages. Milk is collected, bottled, pasteurized, and transported to stores, on average, within 48 hours. Alternative beverages sit in storage and in stores for weeks thanks to additional preservatives and artificial ingredients. Real dairy milk is free of antibiotics and concerns surrounding hormones in milk are unfounded. Milk is a minimally processed and has the health benefits of dairy straight from nature. Simply put, milk delivers what consumers are seeking nowadays. It’s part of nature’s bounty, has few added ingredients, contains nothing artificial and provides a wealth of valuable nutrients including protein and three of the four nutrients most commonly lacking in the typical American diet. It does all this for a nominal number of calories per serving.